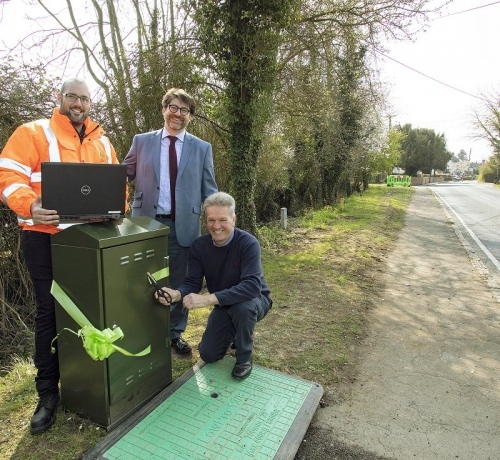 Some 60 homes in the rural Essex village of Cornish Hall End near Braintree will become the first to benefit from the start of County Broadband‘s roll-out of a new rural Fibre-to-the-Premises (FTTP) network, which is being supported by an investment of £46m from Aviva Investors. At present locals are only able to receive a broadband speed of around 1-2Mbps, which comes via copper lines and ADSL2+ technology over Openreach’s (BT) ageing infrastructure. One of the related cabinets has been upgraded to support Fibre-to-the-Cabinet (FTTC / VDSL2) services but for most properties the lines are simply too long in order for that to work. By comparison the “full fibre” service being deployed by CB should be able to deliver Gigabit class performance. Prices start at £39.99 inc. VAT per month for an unlimited symmetrical 30Mbps package on a 24 month contract term and rise to £74.99 for the top 1000Mbps tier. County Broadband’s demand-led ultrafast broadband network will also be rolling out to other rural communities in East Anglia (i.e. they seek interest from 30% of local premises before work can begin). The next on their list will be Cold Norton on the Dengie Peninsula in May 2019, with additional villages including Foxearth, Pentlow, Gestingthorpe, Bulmer, Stambourne, Wickham St Paul and Pebmarsh set to follow. Meanwhile the new service in Cornish Hall End will be fully operational by the beginning of May 2019. “This is an exciting day for Essex and we’re delighted to soon be welcoming Cornish Hall End as the first rural community in the county to join our new full fibre network, significantly changing the way residents and business owners live, work and play. “I am delighted that County Broadband is rolling out full fibre broadband to the vitally important rural areas of Braintree District. Admittedly this isn’t strictly speaking the start of their FTTP roll-out, since back in 2017 they also built a trial network to cater for 50 homes in the village of Broughton (here). 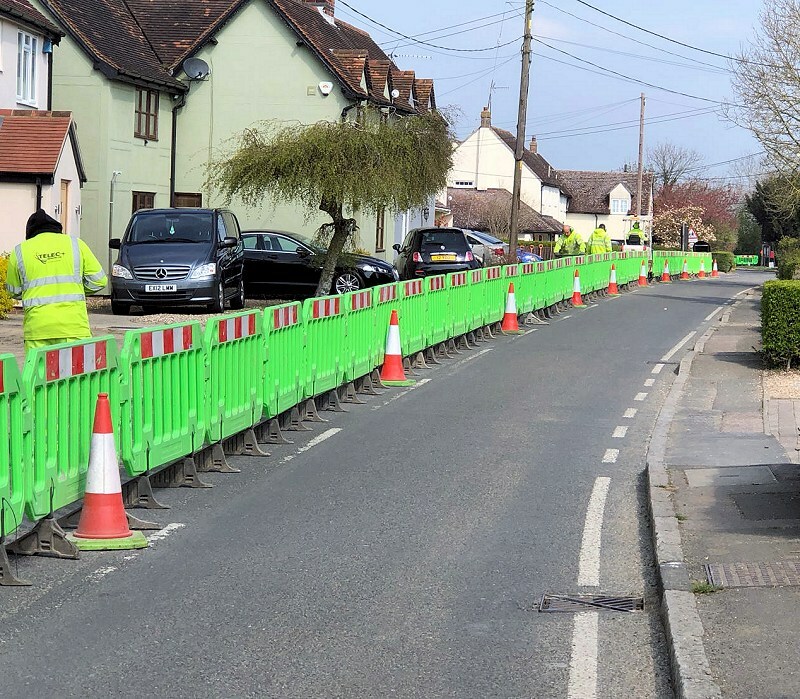 The ISP currently has 3,000 customers on their wider network, although most of those hail from their more established Fixed Wireless Access (FWA) infrastructure in other parts of Essex, Suffolk and Cambridgeshire (England). The future goal of their new fibre network is to cover 30,000 premises in poorly served areas across the East of England region. I know this is good news, but I can’t help feeling it highlights the futility of the altnets – FTTP for 60 properties is seen as worthy of a press release. Similarly, Wessex Internet with 300, Gigaclear with 212 in Uttlesford and ~50 in Cheltenham, Airband etc. Contrast with CityFibre’s 20,000 in Milton Keynes, or BT’s 12,000 a week which are achieved with less fanfare. Probably worth considering that this is the start of CB’s roll-out and so it’s not the early scale that matters. Equally deploying to rural areas is significantly more challenging than dense urban locations and should be praised. Lest we forgot that Openreach and other large providers have also done plenty of PR about smaller, more unique, deployments over the years. In addition, Cityfibre is still an altnet and they also started small, everybody does. If Andrews figures are correct at TB BT are running at late teens or early 20s/wk now. But realistically these small numbers reflect the complex nature of small deployments that while BT could cover they would not realistically do so for many years even out to the 2033 horizon. Its surprising how these altnets deployments add up. If you look at all the work contracted/promised already and under design or build but not live its significant. @Joe hits the nail on the head. These deployments are particularly to be encouraged as they will be way down OR’s list. I’d be cynical about 60 dwellings in London being hooked up to fibre but rural and semi rural is very valuable to the community. @Joe, the altnet work contracted/promised but not live is a problem. In my area Gigaclear have had the contract for well over 2 years and have not managed to connect a single property yet. It was supposed to be complete by the end of 2018, and now the dates (released by Fastershire yesterday) go out to 2021/22. FTTP is further away than it was 2 years ago. The altnet FTTP rollouts just don’t scale well. I know that is due to the more sparsely populated areas that many altnets are targeting, but to me that suggests FTTP is not the right solution. I think that fixed wireless and 4G are the way to go. There are economic benefits to fast broadband – unless you get it 5 years after everyone else. Time is of the essence, but Fasterhire and other BDUK bodies don’t seem to appreciate that. I know you’ve had problems with Gc – the same is true in my country as well (although its live close by) But its not fair to broad brush the Gc problems (largely in scaling up/manpower) with all altnets many of which are quietly going about their deployments. 4g is certainly better than nothing in the short term but its such a poorer solution that I think it needs to be a cast iron no chance of deployment of fttp in say a 5yr window to make it worth while. We already have cases of fttp overbuilding wireless after only a couple of years. @Joe, I’m obviously not as sold on the cast iron benefits of FTTP as you are. In an ideal world I’d like to see FTTP for everyone. But what we are heading towards (particularly for business connections) is cheap Gigabit FTTP (and with even cheaper FTTC solutions available) for urban areas with a choice of suppliers, and very expensive FTTP tied in to a single supplier in rural areas. 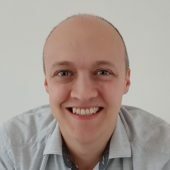 The cheapest (slowest) Gigaclear business connection is over £100pm – and IMO the SLA doesn’t justify the cost (3 day response). I’d need a 2nd non-Gigaclear connection (e.g. 4G) as well. And then they don’t support ISPv6 so I’d have to use a 3rd party reseller, which increases the cost further. A simple improvement to the 4G backhaul would be cheaper (for everyone), and more resilient, and could be completed years earlier. Its too easy to saturate 4g (a problem that will only get worse). 50% fttp looks pretty easy to do where it ends up @ say 2033 is harder to gauge. I’m sure like now the last x% could get stuck on fttp thats locked or wireless/sat. IPv6 is usually workaroundable. The biz tariffs are high now on some locked networks I agree though I think that will sort itself in time. Well I already use 4G – very variable latency which is the biggest problem for me, but the speed is better than ADSL2+ in my area (particularly upload, which is the other big problem). In rural areas it isn’t the 4G that gets saturated (too few users for that) it is the limited backhaul – that could be fixed quite easily. I can’t really see pricing becoming more competitive, as there is no competition – the Gigaclear 900Mbps biz tariff with static IP and next day SLA is £600pm, which is leased line territory. 4g would get saturated if by implication you were suggesting villages swapped to 4g for their access from whatever they are using now (allowing for scalling demand in bw/user). Relatively low use of 4g masks its serious limits – though go to a festival/event with temp 4g and watch it crawl or die! I’m not really thinking about areas that are dense enough to saturate 4G, as they are probably large enough to have FTTC already. It is the properties on the edge of villages or truly rural that could use 4G or fixed wireless quite easily if backhaul was sufficient – many years before unaffordable FTTP reaches them. Waiting years is not a better option. @Joe is right in that this requires a balanced approach. Even with MIMO and all the goodies 4G doesn’t have the bandwidth to cope in the long term. The best strategy is as much FTTP as possible and then backfill with 4G & point-to-point wireless type solutions. Each has a sensible and viable space in the mix. The big but though is that as FTTP gets cheaper to deploy it is the only enduring solution. And as traffic levels rise more and more FTTP backfill will be required to keeps data moving. It was only a couple of years ago that arguments on this forum were frequent about wether FTTP was even needed or viable – things have moved fast now – and in a good direction. Happily the market has spoken and that debate is done. Congratulations to Rural Broadband, from tiny acorns… Keep the faith.